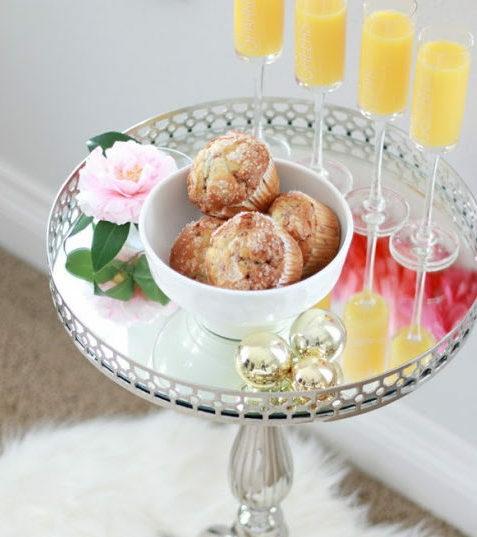 KF recently held Muffins + Mimosas For Good at her boutique in Dallas. 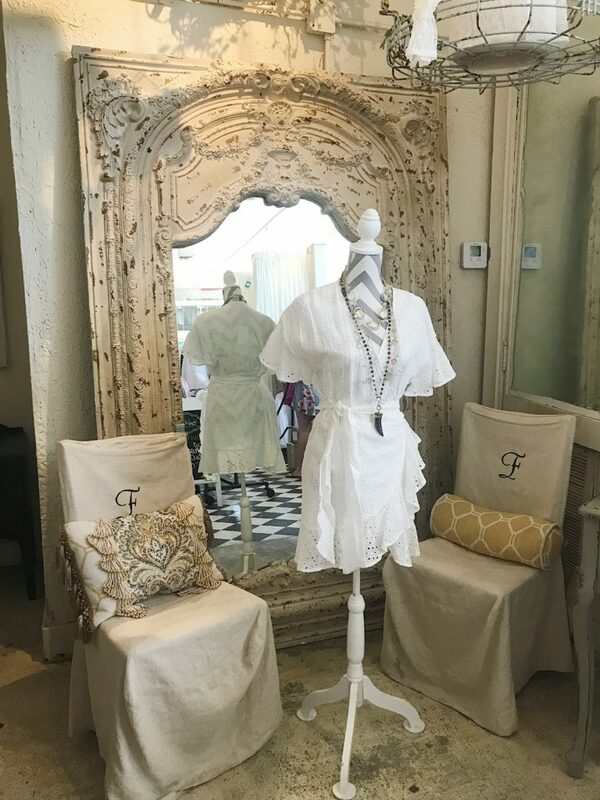 The event benefitted The Brit Rose Foundation, which promotes mental wellness and suicide prevention causes, took place at The KF Design | Life | Style Boutique Friday, June 1st from 10 – 3. 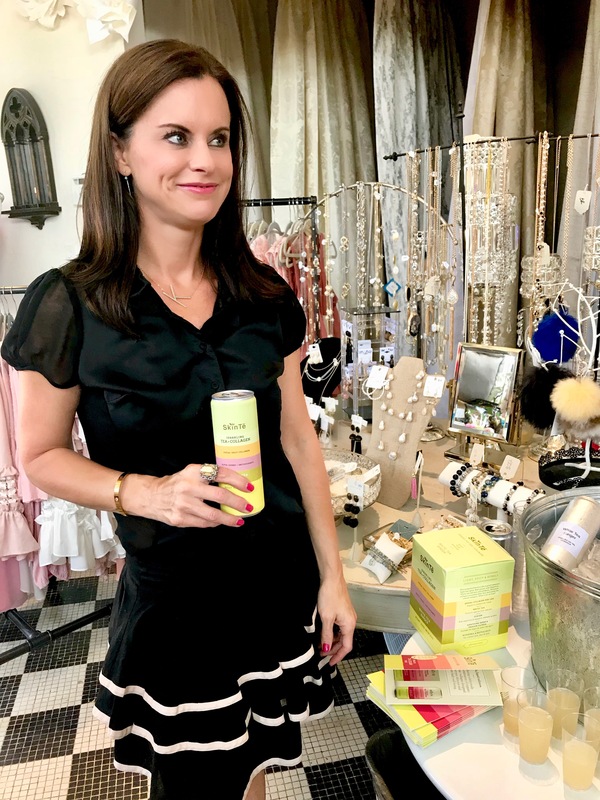 This fabulous party featured some pretty outstanding brands, some of which were Kathy Fielder, Brit Rose, Isabella Collection, India Hicks, SkinTe, Rose Gold Rosé, and Revital U to create an amazing event supporting a fantastic cause. 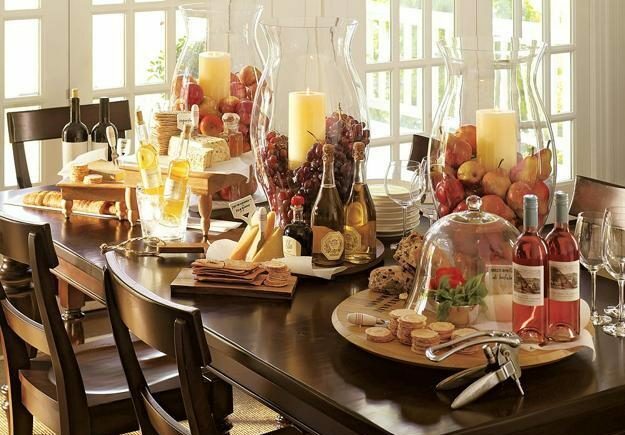 Guests in attendance could sample, try on, and look at all the individual brands perfectly curated by KF herself. 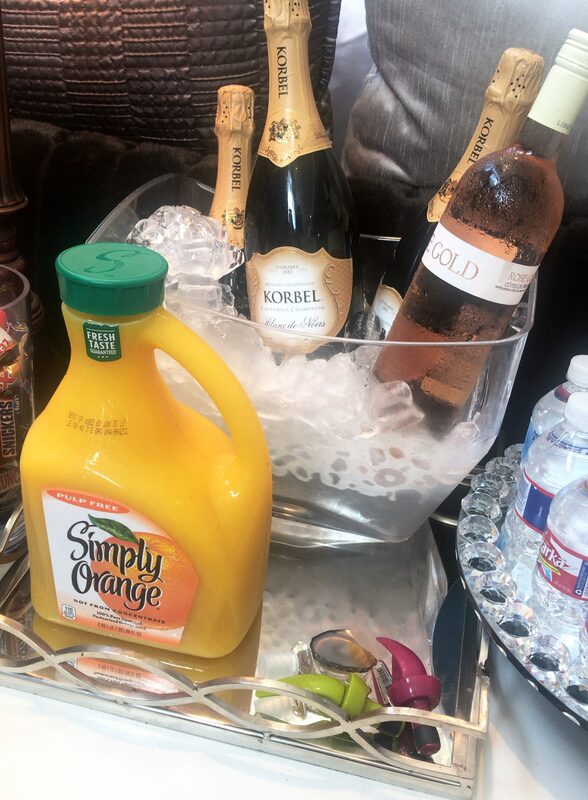 Store goers could try on all the fabulous Brit Rose clothing and accessories, while they sipped on their mimosa or Rose Gold Rosé! 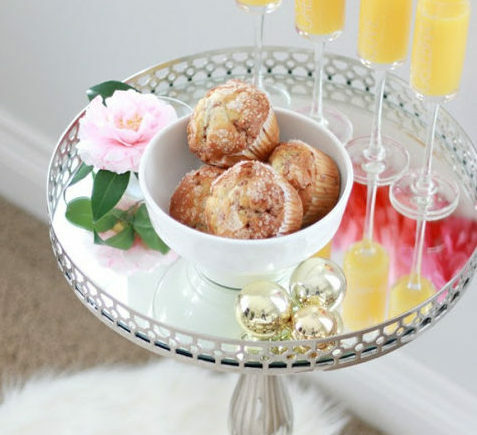 They could also stand and chat with baked good in hand thanks to Village Baking Company. Kathy poses for a photo out front of her studio. Check out her fab outfit and how to shop the look on her latest blog post. 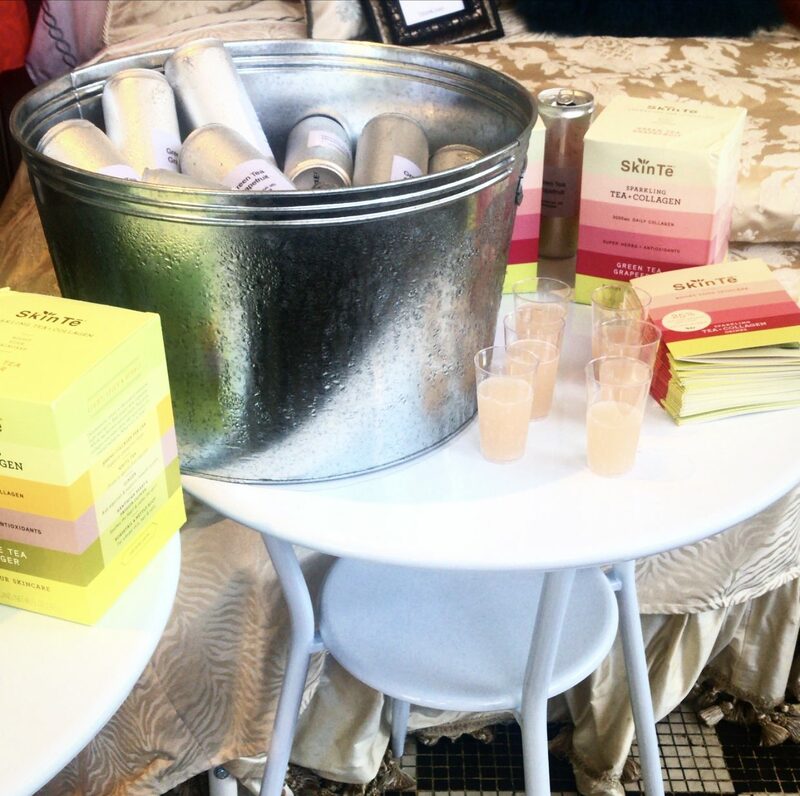 KF stands with one of her personal new favorite finds, SkinTē – White Tea Ginger Sparkling Tea, sharing with a few of the guests the benefits of the collagen-infused sparkling tea. Learn all about about SkinTē and how to boost collagen in your body on our blog and from SkinTe’s website. Pre-order this dynamic new product SkinTé from KF Design | Life | Style Boutique. Use code kathyfielder for 25% off your order! 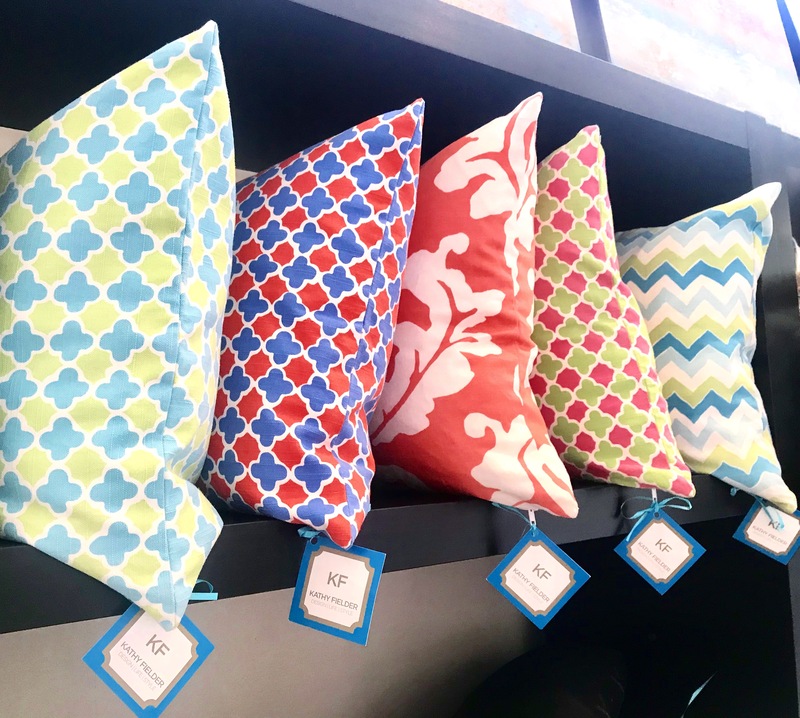 Isabella Collection by Kathy Fielder pillows and bedding were on display for guests to admire and purchase just in time for a summer refresh. 100% of the profit of sales from the Brit Rose Collection goes to mental wellness and suicide prevention. 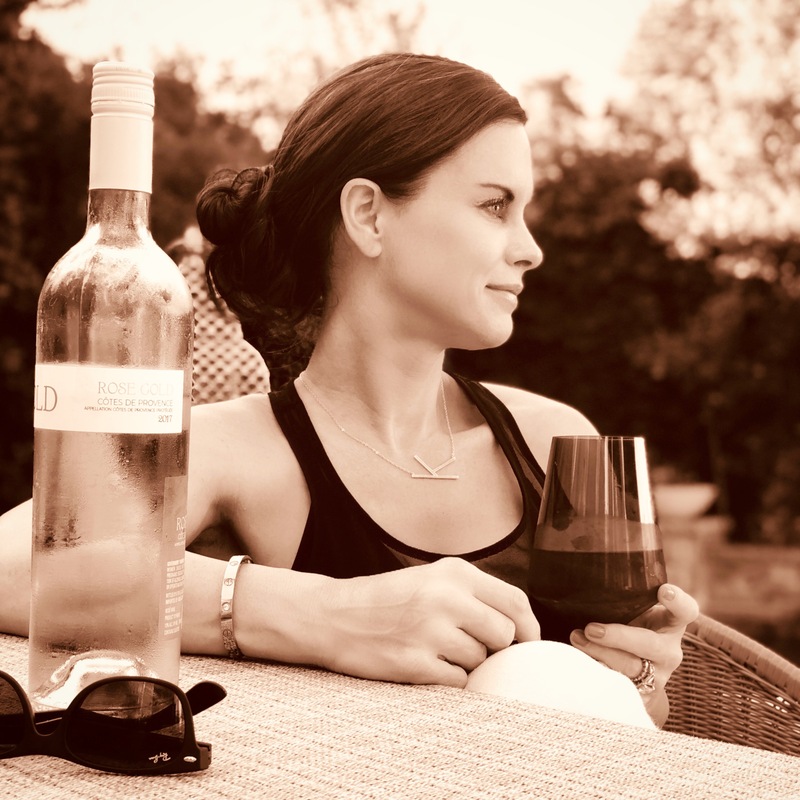 Kathy sips Rose Gold Rosé created by her friend and fellow entrepreneur Casey Barber. See more about Rose Gold on Instagram. 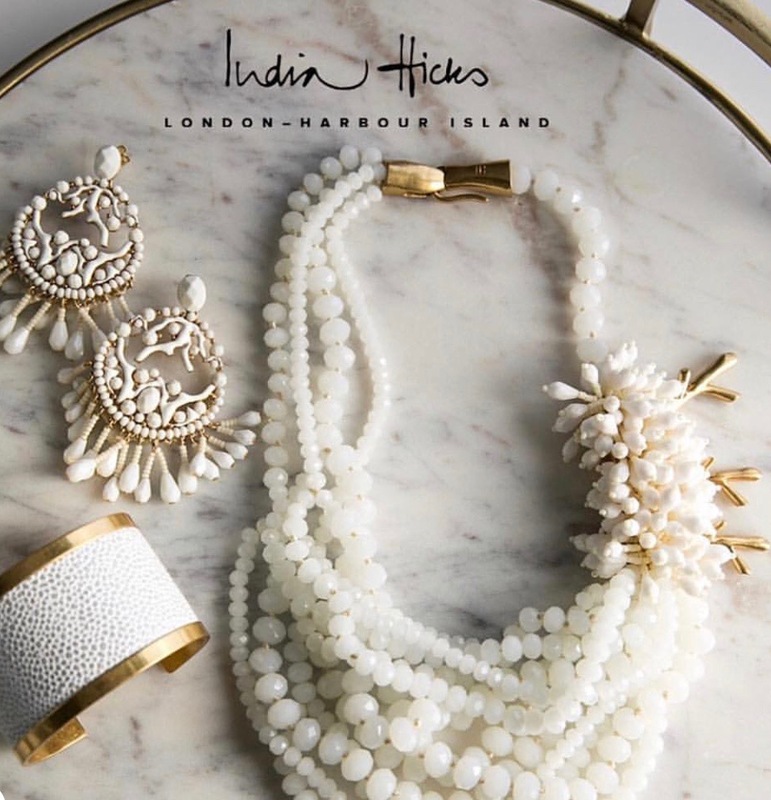 An India Hicks pop-up was set up by brand ambassadors Darlene Ellison and Michelle De La Valdene. 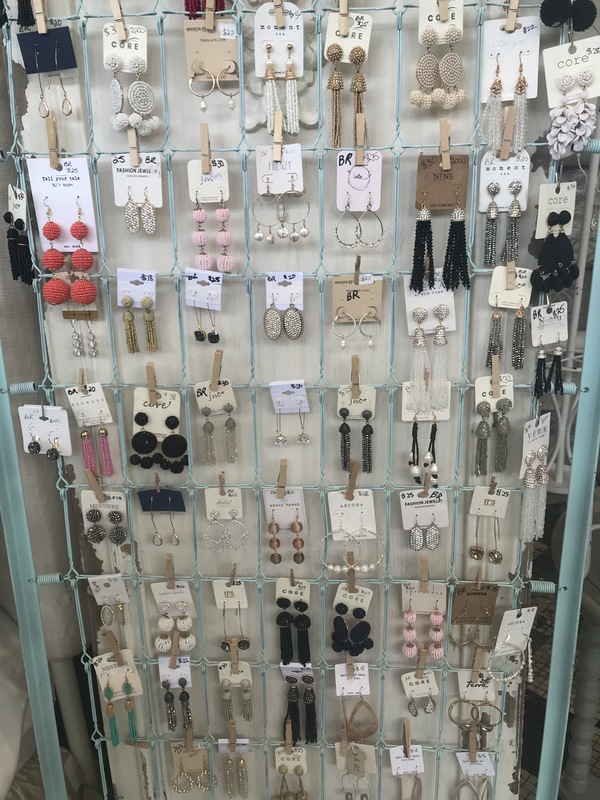 You could try on the gorgeous jewelry and show fab handbags, and then order right on the spot.